When it comes to Thermal Management, cooling each machinery or electrical cabinet separately is usually the solution chosen by most of the industries. However, this leave a valuable optimization potential untapped. Maximum efficiency cooling for a whole system can be achieved with a cooling system solution consisting of air to water heat exchangers and water-based chillers. These 'Liquid Solutions' cool the complete assembly and offer significant benefits compared to traditional approaches such as cooling with ambient air. A closed loop cooling or semi open system is used to provide cooling to the entire plant assembly. These might be electrical enclosures, processes or individual machine parts such as spindles, motors or hydraulic equipment. In a closed-loop system, electrical enclosures or assemblies are cooled with cold water at a specified inlet temperature which is pumped through a pipe system. Flowing through the electrical enclosures or assemblies, the water is warmer when it returns to the chiller. This creates a temperature delta which the chiller equalizes by cooling the water from the outlet temperature down to the inlet temperature. 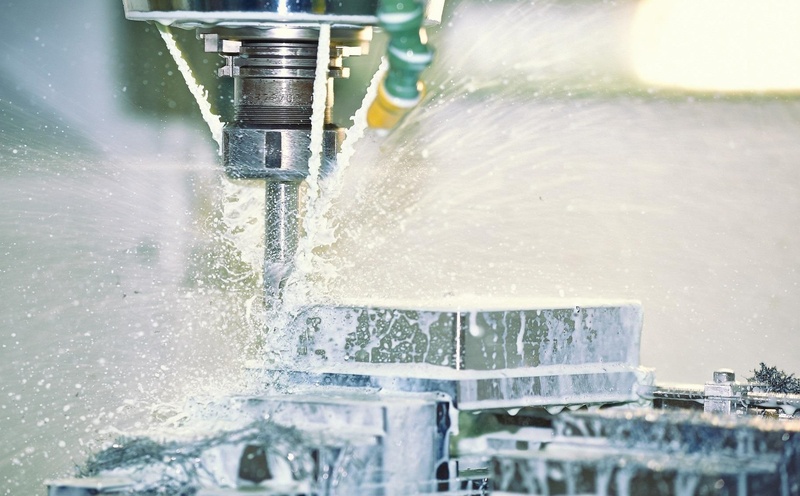 The process chiller system feeds cold water into the application inside the factory hall or outdoors and the constant flow temperature significantly improves machine availability and machining accuracy. There is no other cooling media being as efficient as water cooling. 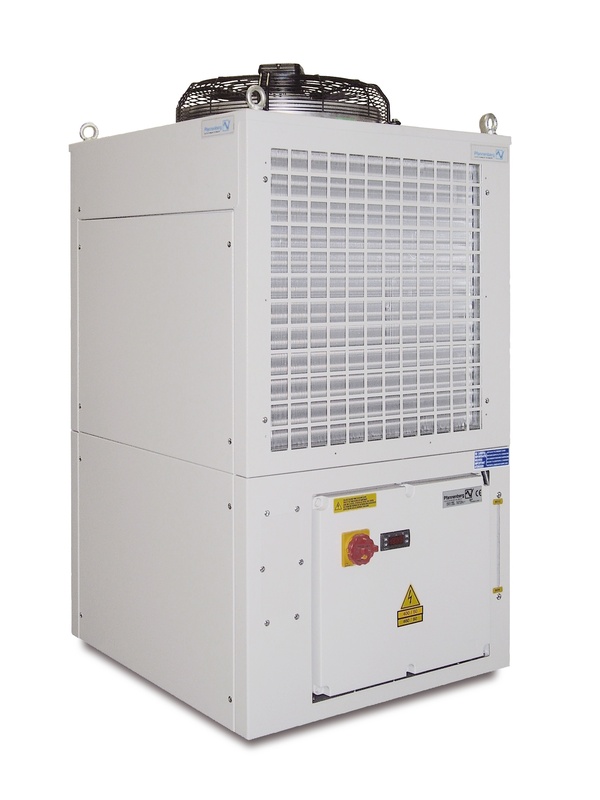 The combination of application-specific process chillers with air to water heat exchangers is particularly suitable for applications in which heat must not be dissipated in the immediate environment, where the ambient air is too aggressive to allow the use of traditional enclosure cooling units, where high-level protection is required (up to IP 65) or where the cooling devices must be maintenance-free. The air to water heat exchanges are all cut-out-compatible and fit in the housing of all available electrical enclosures. This means that machine and plant manufacturers, end users and distributors benefit from higher flexibility, and save costs on warehousing and servicing. The advantage of an intelligent system solution with application-specific chillers and air to water heat exchangers is that the dissipated heat can be moved directly from the factory shop floor via air channels or an outside chiller system. It also offers very high reliability and problem-free operation as all the components of the system are chosen to work together perfectly. Low maintenance, cut-out-compatibility and energy efficiency optimize energy consumption and keep operating costs to a minimum. The integrated concept and numerous options allow the system to be adapted to almost any application, even with changing conditions. First determine the heat load for the whole assembly. The second step is to specify the type of cooling medium (ideally water), the target temperature and the flow quantity which the system must deliver in the actual application. This process should take into account how the heat is transmitted to the cooling medium and the type of refrigerant necessary to operate the refrigerant circuit. 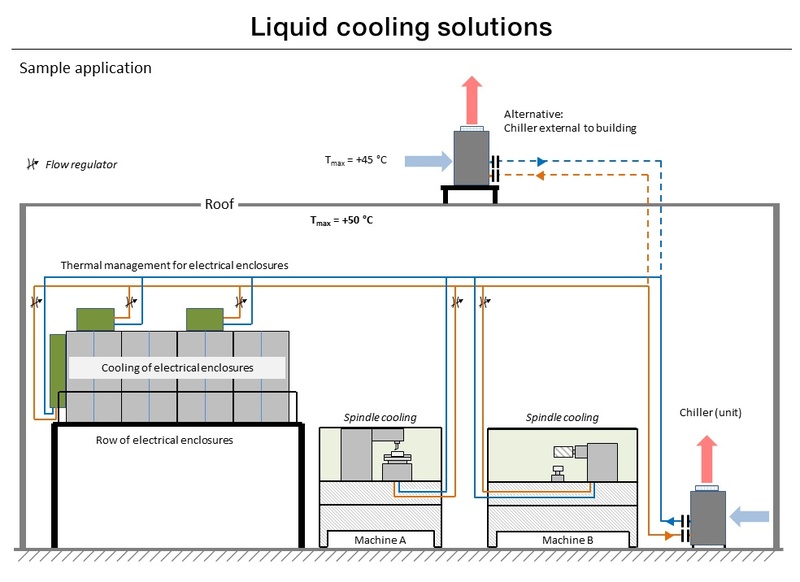 The type of cooling medium and which chiller model is used depends on whether usable process water is available at the factory and if so, whether it is warm or cold (see overview of device variants). An analysis of the environmental conditions prevailing where the chiller system is to be installed is also carried out. For example, there might be high temperatures and contaminated air indoors, while outdoors the temperature might fluctuate widely. Both of these factors can have an impact on the configuration of the chiller system, making accessories such as filter fans or crankcase heating necessary. Taking the temperature of the cooling medium at the inlet and the highest likely ambient temperature as a basis, Pfannenberg determines the best chiller model with the correct characteristic curves for the job. The final stage in the application-specific configuration is to think about whether the selected standard version meets the other requirements of the application, such as performance data, control and regulation options, available space, certifications and color. It is then decided whether standard options are necessary or helpful and if so, which. With numerous available options available, the EB chillers meet the requirements of practically any application in industrial environments. 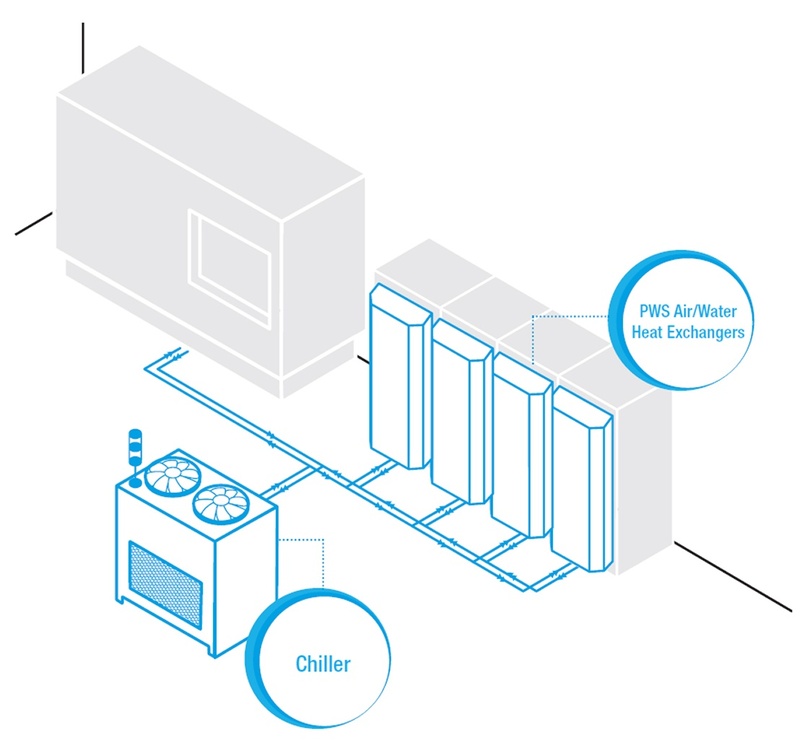 Pfannenberg offers installation-ready chiller systems with performance specifications ranging from 1 to 160 kW. The modular concept of the EB series allows users to select from up to 30 standard options. These include hydraulic bypass/relief valves, flow monitors, tank level monitors, air filters, air filter monitors, check valves, solenoid valves, single alarm display and UL certification. Special solutions are also available. Click here to determine the correct chiller for your application! With products that include filterfans, heaters, industrial air conditioners, air to water heat exchangers, packaged chillers, and signaling devices, Pfannenberg offers a full range of thermal management solutions for all types of industries. Standard options such as stainless steel materials, NEMA 4/4X enclosures, and washdown duty construction allow these time-tested products to be seamlessly incorporated into even the most demanding applications.